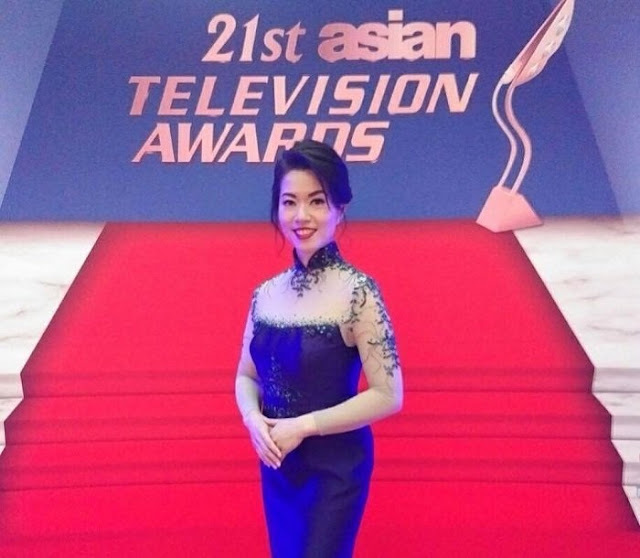 Cathy Yang has once again secured a nomination for Best News Presenter or Anchor at this year's Asian TV Awards — her second since rejoining ABS-CBN News in 2015. The Market Edge anchor, who is a three-time winner at the prestigious award-giving body, is the only Filipino journalist nominated among over 1,350 entries across 20 countries at this year's cycle. "Honoured and humbled. Thank you #2017 Asian TV Awards for the recognition. From out of 1350 entries in 20 countries, #congratulations to all!" Yang posted on her Instagram account Wednesday shortly after the announcement. Before returning to the Kapamilya news division, Yang worked for international news outfits such as Bloomberg TV Asia-Pacific, Reuters TV and CCTV News. To date, she is the only journalist to ever secure a three-in-a-row win at the ATA, winning in the exact category from 2001 to 2003. Other nominees for the said category are CNN International's Kristie Lu Stout (Hong Kong), Metro TV's Najwa Shihab (Indonesia), CNBC's Martin Soong (Singapore), Bloomberg TV's Rishaad Salamat (Hong Kong), and British Broadcasting Corporation's Sharanjit Leyl (Singapore). The Asian Television Awards is the pinnacle for recognizing excellence in television production around the Asia-Pacific region. Launched in 1996, it is considered to be Asia's equivalent to the Emmy Awards. The winners will be announced at a gala event on November 30 and December 1 at Suntec Singapore Convention and Exhibition Centre in Singapore. For the complete list of nominees, you can visit this link.